Minné comes to DePaul from Illinois State University (ISU) in Normal, where she spent four years as vice president for university advancement and executive director of the ISU Foundation. During her tenure, Minné increased the number of alumni donors, improved donor retention and helped elevate faculty, staff and retiree giving totals to more than $1 million—the highest in university history. 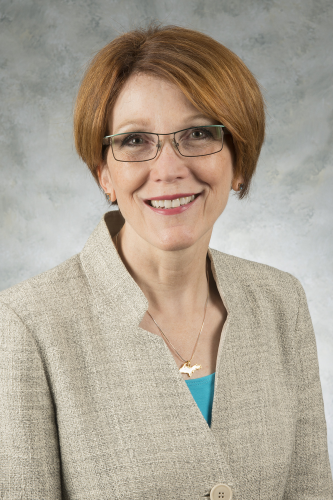 Prior to her appointment at ISU, Minné was vice president for development at the University of Iowa foundation for nine years; her responsibilities included managing a $500 million campaign for the university’s medical center. In addition, Minné worked at Michigan Technological University, where she created the stewardship and donor relations unit. Outside of her extensive higher education experience, Minné has also directed fundraising efforts for Boysville of Michigan, the American Cancer Society and Orchard’s Children Services. Minné takes over at a pivotal time in DePaul’s history, as the university successfully concluded its Many Dreams, One Mission Campaign—which raised more than $333 million for scholarships, programming and facilities—in June 2014. She will lead the Office of Advancement in a post-campaign environment, continuing to raise funds, build alumni engagement and support, and prepare for the next comprehensive fundraising initiative. You are currently browsing the DePaul Advancement News blog archives for September, 2014.